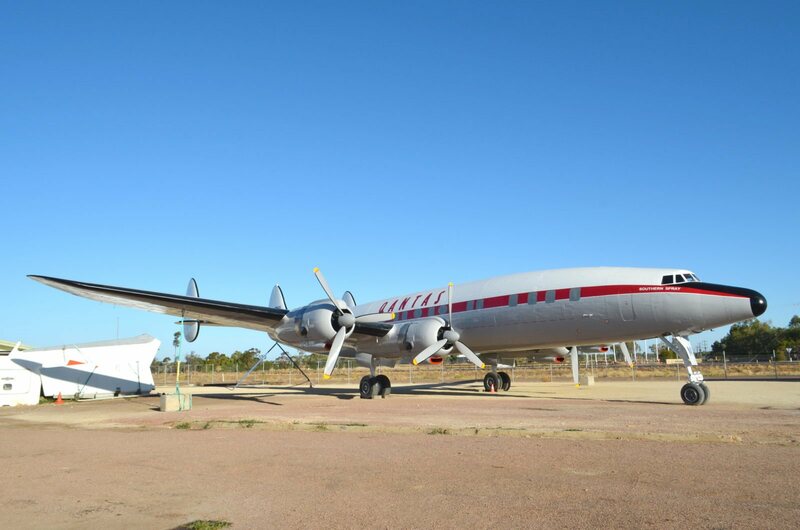 Qantas Founders Museum purchased the Super Constellation aircraft from the Manila International Airport Authority in September 2014. Over two and a half years, with the support of Qantas Engineering and a devoted team of volunteer engineers, the aircraft was extracted from it's mud encrusted position, disassembled and the components transported by ship from Manila to Townsville, then by truck from Townsville to Longreach, arriving in late May 2017. Over the last 13 months, Qantas specialist engineers, volunteers and contractors have been working in sometimes trying conditions to prepare and restore the exterior of the aircraft. This has included replacing corroded and missing areas, reassembling the aircraft and repainting it in the Qantas Super Constellation livery. The livery details were provided from original Qantas 1950's drawings, sourced and reproduced by Qantas' Curator and Engineering technical staff. This project was substantially funded jointly by the Qantas Foundation Memorial Ltd (the parent company to Qantas Founders Museum), Qantas Airways and the Australian Government with funds administered by the Queensland Government through the Tourism Demand Driver Infrastructure Fund.